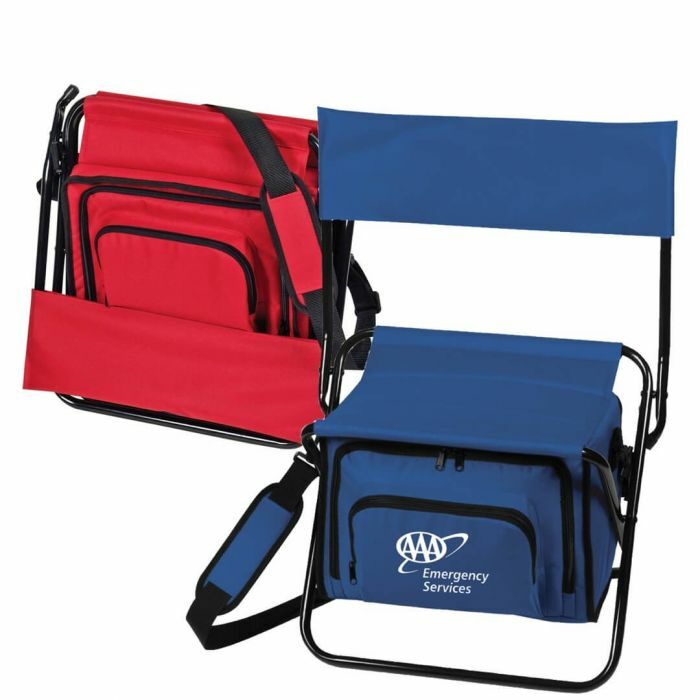 Durable metal frame with padded seat. Foam-insulated zippered main compartment. Zippered front pocket. Two back mesh drawstring pockets. Detachedable, adjustable padded shoulder strap. Collapsible for easy storage.